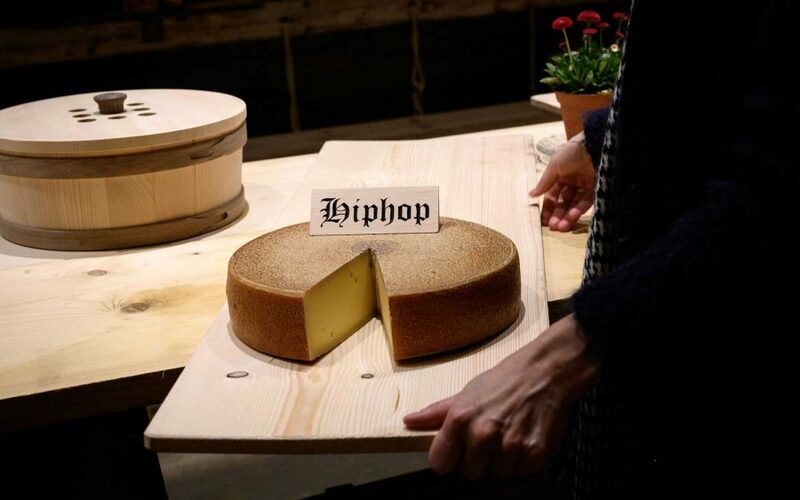 A study out of Switzerland has revealed that cheese tastes better after it has been exposed to hip hop music. Nine 22-pound wheels of Emmental cheese were placed in individual wooden crates in a Swiss cheese cellar this past September. Five of the wheels were exposed to different types of music on loop for 24 hours a day for six months. Each cheese had a sound system built into their crate, with mini transmitters conducting the music’s energy into the cheese. Three other cheeses were exposed to soundwaves at different frequencies: low, medium, and high. And one cheese stood alone in quiet. According to the results of the study, the music apparently measurably affected the cheeses’ strength of flavor, smell and taste. The beats of A Tribe Called Quest gave the hip hop cheese the funkiest profile of all the aged cheeses. “All the energy is directly resonating inside of the cheese,” Michael Harenberg, one of the researchers from Bern University of Arts, told Reuters.